MARSHALL – Her love for children is what has moved Ella Moat to teach Sunday school for the past 70 years. Moat, who started teaching in 1944, would have recorded more than 70 years, but she took a few years off to start a family. Moat said she’s taught hundreds of children over the years, including most of her own children, grandchildren and great-grandchildren. She likes to talk about the little boy who kept trying to blow out a church candle when the Sunday school class was singing during a church service. The most challenging thing about teaching Sunday school for Moat is unexpected changes or interruptions in their plans. “I’ve always taught preschool and, on the whole, they’ve always been well-behaved,” she said. Moat started teaching at age 16 at the Presbyterian church in Russell before she got married to Don Moat. They moved to Marshall in 1956 and joined Christ United Presbyterian Church. While in Russell, Moat developed her own teaching curriculum. In Marshall, it’s a mixture of her own and the use of David C. Cook materials. Moat said her favorite lesson to teach is Noah’s Ark. Moat said she used to use a slide projector for some of her lessons, and that each Sunday school class period was like a church service. It had prayer, singing, devotion and lesson. The donations went to two different hospitals out-of-state and to a Bible study group in Japan with whom they corresponded. Moat’s classes also have art projects with which her daughter-in-law Margaret Moat helps. Moat said that their class always puts up a Christmas tree. Forty was the largest class size Moat ever taught, but that was for three grade levels. 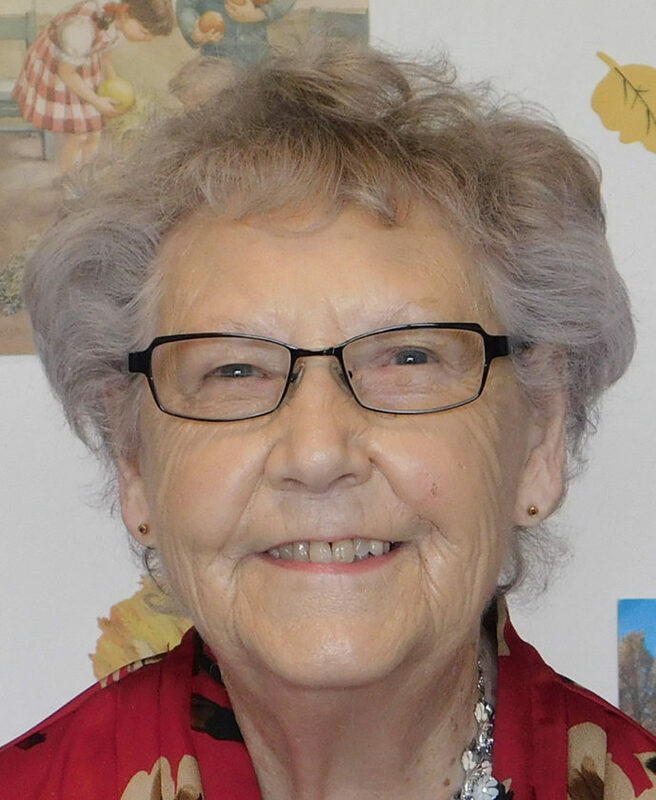 Moat had also worked as a secretary in the church office for 40 years along with Marj Lenz. Moat retired from office work in 1980, but continues to teach Sunday school.